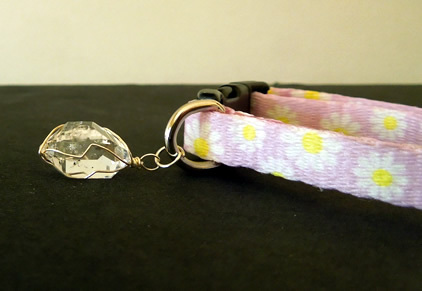 Notes: This Herkimer Diamond dog collar is sized for a tea cup dog, perfect for your pampered purse pet. Of course, your favorite feline would look great as well ! 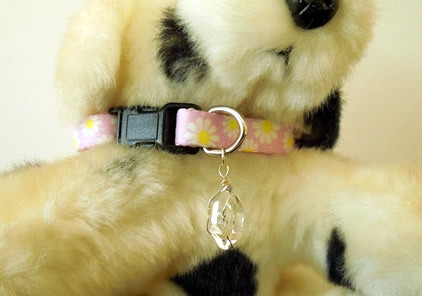 The sparkly Herkimer Diamond hangs from a pink collar with daisy accents. The double terminated crystal measures 15x9.75x8.25 mm The collar has a neck circumference of 6" - 8". 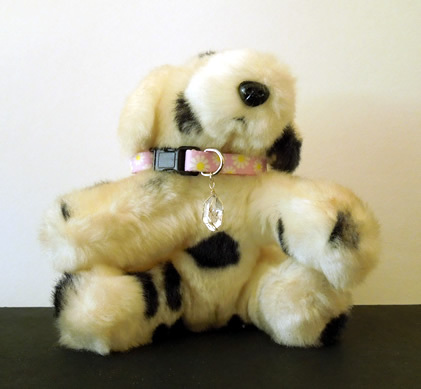 Have an April fur baby? Give them a collar with their natural birthstone. 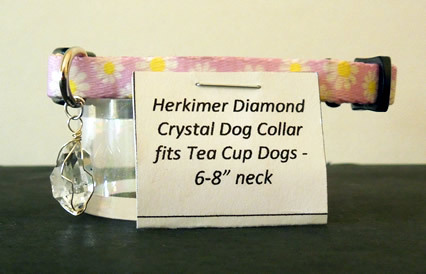 Herkimer Diamond Collar sized for a tea cup dog.